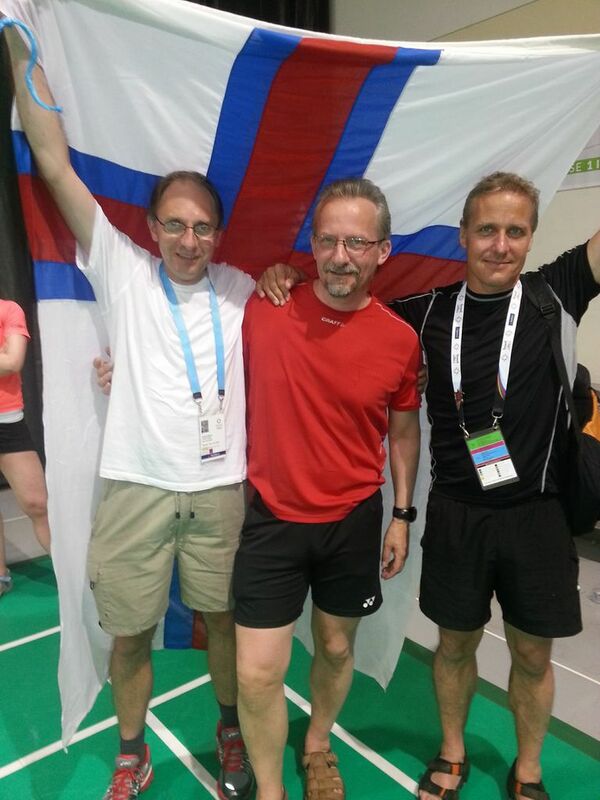 After enjoying a week long competition in Bermuda at the Island Games, the Faroese athletes are in mourning today [July 22] following the death of two of their badminton officials in a car crash in the Faroe Islands. The two officials had just returned from Bermuda, and were traveling home from the airport in the Faroe Islands in a taxi when the collision occurred. Both Høgni Carlsson and Vilhjalmur Gregoriussen were killed, along with the taxi driver. Bermuda’s Island Games Chairman Jon Beard said, “I have sent the condolences of the Bermuda Island Games Association [and all of the member sports] and of the Bermuda community for their tragic loss. Mogens Eriksen of the Faroe delegation said, “Høgni Carlsson and Vilhjalmur Gregoriussen were killed this morning in a car accident on the way home from the airport, just arrived back from Bermuda. “Høgni Carlsson was the father of the Carlsson sisters and team leader for our Bermuda badminton group. Vilhjalmur Gregoriussen was chairman of the Faroese Badminton Association. “I don’t know how to express myself in English with words that can describe the sorrow we all are in. Our thoughts go to the family members who are left behind,” said Mr. Eriksen. The Faroe Islands are an island group under the sovereignty of the Kingdom of Denmark, and have a population of approximately 50,000 people. They won a total of 36 medals, with 4 in badminton. OMG! This is Horrible news! My condolences to their Families and team mates.. So sorry to hear this. Condolences to the families, friends and colleagues of Mr. Carlsson and Mr. Gregoriussen. SAD news…very sorry to read this. This is so sad. They were both lovely gentlemen that we got to know over the last week and were looking forward to meet again when the games take place in the Faroe Islands. My condolences to Brynhild and Rannva and all the Faroe Team. So tragic and sad. My condolences to the families and people of the Faroe Islands. This is such a tragic my condolence goes out to their families and friends. Thats just dreadful. Condolences to the families and the team mates. So tragic. My thoughts are with you. So sad. My condolences and prayers.